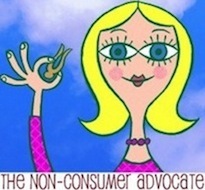 Did you ever notice how every grocery shopping expert seems to parrot the same advice? Always shop from a list and never vary from it. I go to the grocery store with a small list. Sometimes it’s on paper, other times it’s in the mush of my brain. Sure, there are things I definitely need. The eggs, bread, milks of life. I never know what the deals are until I hit the store. For example: I went to the grocery store today needing to buy tomatoes, cucumbers and cream cheese. (We bought a huge number of day-old bagels today that were being serving as the basis of our dinner.) But it wasn’t until I got there that I realized that the $3 apiece melons were a good deal, as I was able to score a ginormous specimen. Was that on my list? But it’s all about flexibility and recognizing a good deal when it comes your way. I also bought three frozen lemonades at 59 cents each, (lemonade stands are big bidness for my 10-year-old.) corn-on-the-cob which were 10 for $3, (I bought 7) and a half-gallon of local ice-cream that at $3 was the same price as the brick of store brand. I now have the vegetable for tomorrow’s dinner, plus an employment opportunity for the youthful Non-Consumer set. So if you pressure yourself to make concrete and inflexible shopping lists, give yourself a flippin’ break. Life as a Non-Consumer is all about making mindful choices. And surely you have the smarts to choose that delicious cheap melon. Even if it wasn’t on your shopping list. With the current uncertainties with food prices there is a greater need for us to conserve and be increasingly economical about food consumption at home. We have become wasteful as consumers of food and have never really had a need to feel otherwise before this crisis started. Blaming the rampant consumerism of the supermarkets has now irrelevant in this discussion. The situation now is that if we donâ€™t change our food habits this situation could easily escalate completely out of control. The responsibility is now on us all to change our food buying and food consuming habits. Simple food saving tips are things we need to get used to and practice more regularly. Most of these are common sense and can be quite creative. You can find a list of free food saving tips at sites such as http://www.foodcrisis.co.uk amongst other similar sites as well. We all need to contribute to a fairer and more food wise program for ourselves. I agree with you, Katy. I usually shop with a long list (because stuff goes into the mush of my brain and never comes out) but I’m also on alert for deals. Today chicken breast was on sale for $1.99/lb, so I bought 2 family packs and I’ll repackage and freeze it for many nights of good eating. Grape Nuts were on sale too, so 3 boxes went into the cart. I’m thankful that the budget has a little wiggle room to stock up when the opportunity is there, and the kitchen has a little wiggle room to store the groceries! I’ll agree with Emily that working from a flexible list is the best of both worlds. 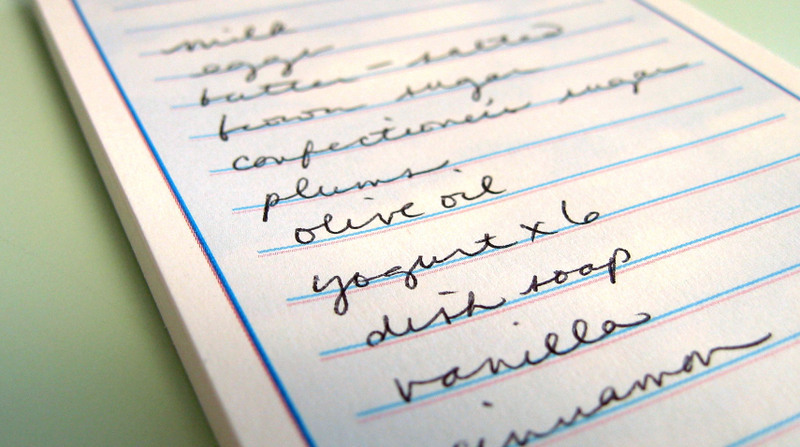 For me, planning weekly menus and making a comprehensive list allows me to make that trip to the grocery store only once a week, saving gas and time. If we run out of something mid-week, we “make do or do without”. Spotting deals is always a good reason to vary from the list. For example, Roma tomatoes at 99 cents/lb are a great reason to stock up. I oven-dry them with olive oil and kosher salt and they’re d’lish!